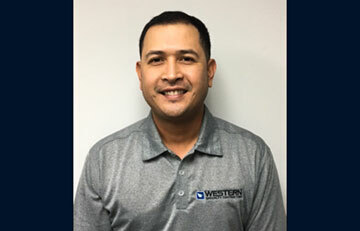 Western Specialty Contractors has promoted Michael Ramos of Tamarac, FL to Branch Manager of its Fort Lauderdale, FL branch office. Ramos was previously the Assistant Branch Manager. The Fort Lauderdale branch was established in 1976 and provides the following services throughout southern Florida: building cleaning, concrete restoration, EIFS restoration/recoating, epoxy and chemical grout injection, expansion joint systems, exterior wall coatings, glass curtain wall, parking and plaza deck restoration, sealant repairs, stone/brick/terra cotta restoration and waterproofing. In his new role as Branch Manager, Ramos will be responsible for running the branch office, which will include marketing, sales, estimating, oversight of operations and administrative functions, safety of all branch employees, and productivity of office staff and field crews. Additionally, Ramos will be responsible for ensuring the branch’s profitability by forecasting and managing the budget, identifying market trends, ensuring quality control and building/maintaining customer relationships. Ramos has 12 years of industry experience. Prior to working for Western Specialty Contractors, Ramos was a Project Manager for JB Mathews Company – AERO Door Division. He has a BA in Business Administration – Marketing from the University of Central Florida and is a member of the Building Owners and Managers (BOMA) Association – Fort Lauderdale/Palm Beaches chapter.